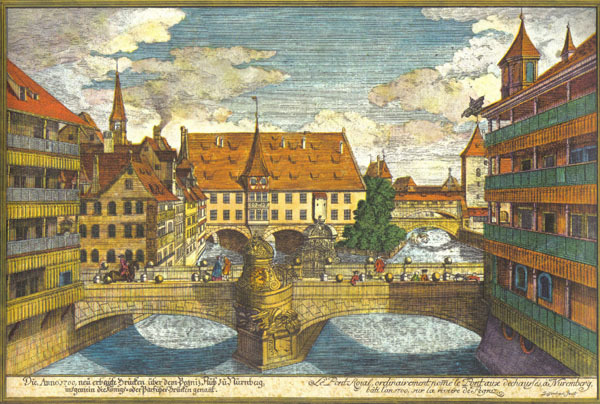 In the centre of Nuremberg, alongside the river Pegnitz, is the Hospital of the Holy Spirit. Originally founded in 1332, the wing that spans the river was added between 1488 and 1527. The main complex features a lovely courtyard with wooden galleries overlooking it. The building was badly damaged during the Second World War.